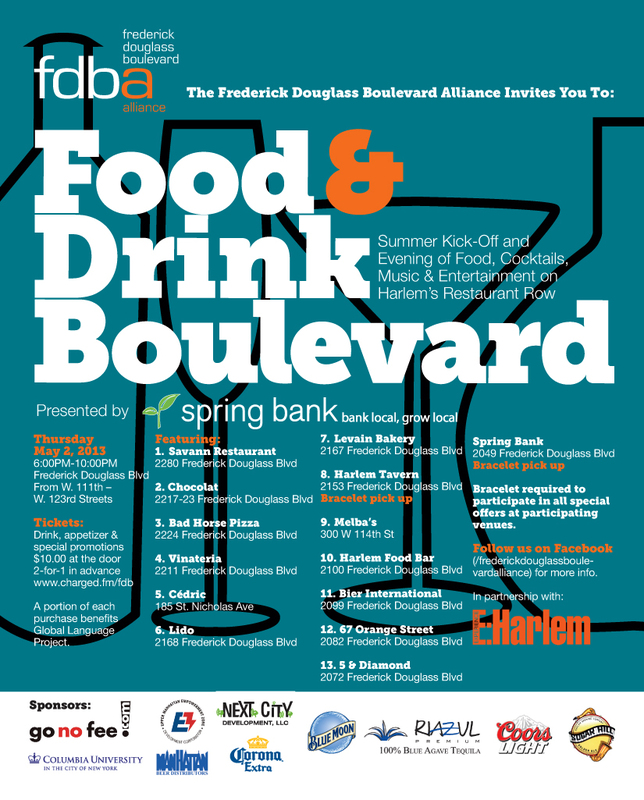 Harlem’s restaurant row, aka Frederick Douglass Blvd between 110th and 125th Street, is back in the news again. 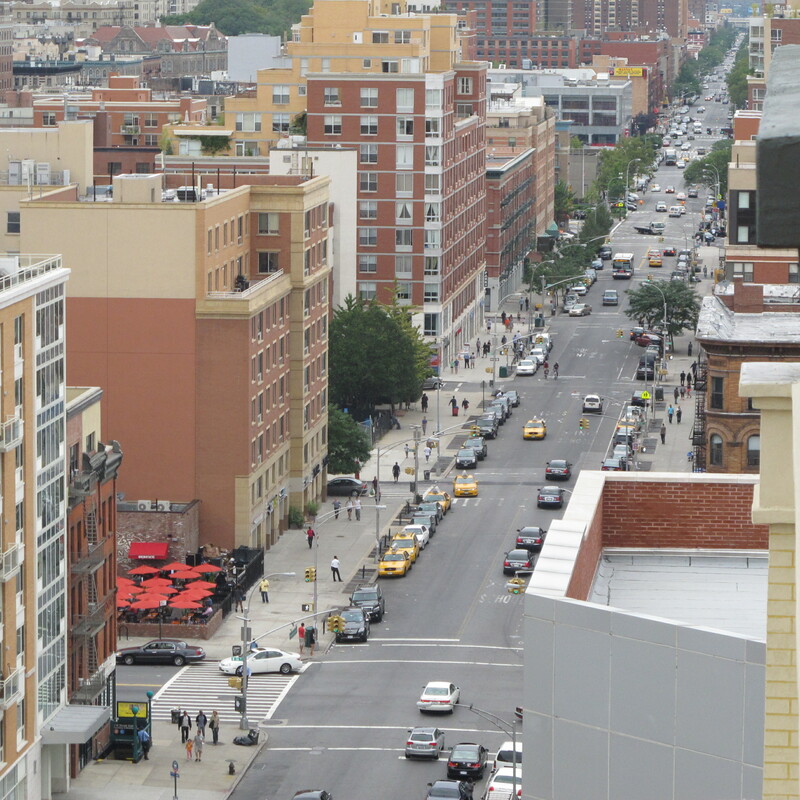 The New York Times recently spoke with Leon Ellis, the owner of Moca Lounge, Chocolat Restaurant and Harlem Underground, about how this part of Harlem has gone through a complete transformation since he first opened Moca, which was back in 2003. Ellis told the NY Times that his friends thought he was crazy for opening up a restaurant back then. Since 2003, Ellis has expanded his business presence in Harlem on FDB with Chocolat opening about two years ago and then Harlem Underground, a Harlem-themed clothing store. The owners of bier international were also interviewed for the article and stressed that while this area is going mainstream, they emphasized “we need to find a balance and not forget what was here” in Harlem. 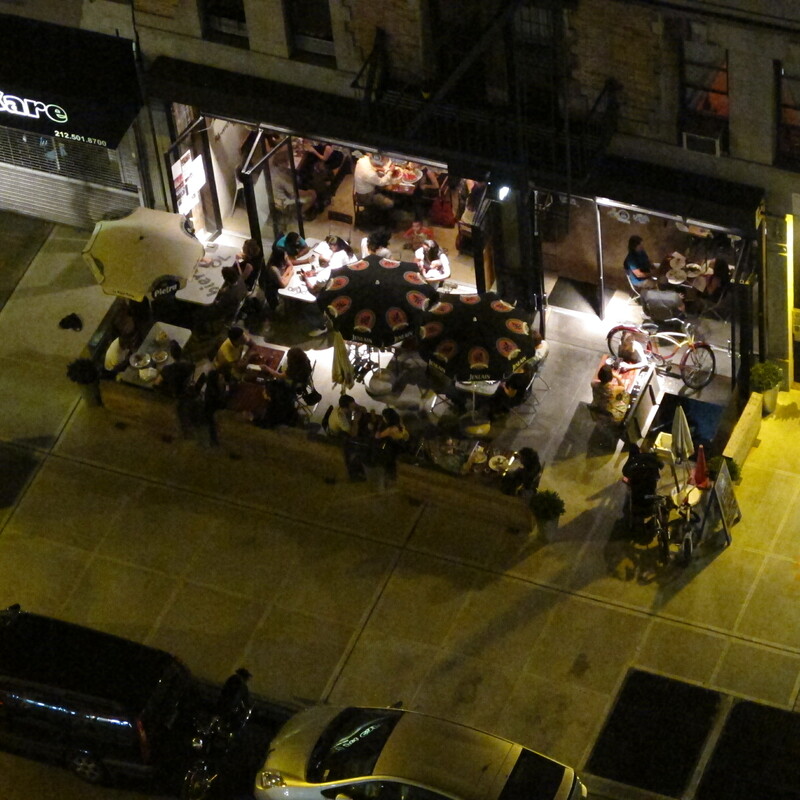 Where Grub Street misses the mark is naming Harlem Lanes. Isn’t that place closed? 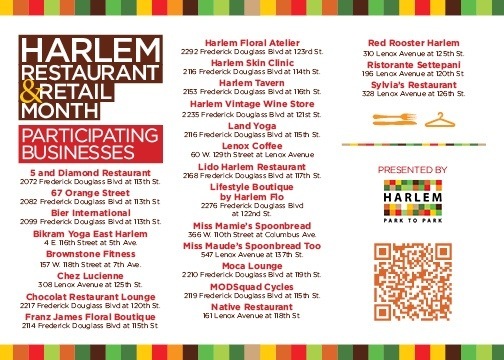 Clearly whoever wrote the blog post has not been to Harlem or did not do their research or Harlem Lanes is not closed. It’s a comprehensive bar list by Grub, but Harlemites know best. Tell us if Grub overlooked a particular drinking establishment or if they got it right! More than 12 months ago, the northwest corner on 116th Street and Frederick Douglass Blvd in Harlem was an abandoned gas station locked up in jail-like bars. Does anyone remember how this corner looked back in the day? Fast forward to today, this corner in Harlem is now a bustling section, decorated with red outdoor umbrellas, filled daily with Harlemites, who are dining inside or outside, and it’s now the permanent home of Harlem Tavern, the second beer garden to open in South Harlem after bier international. 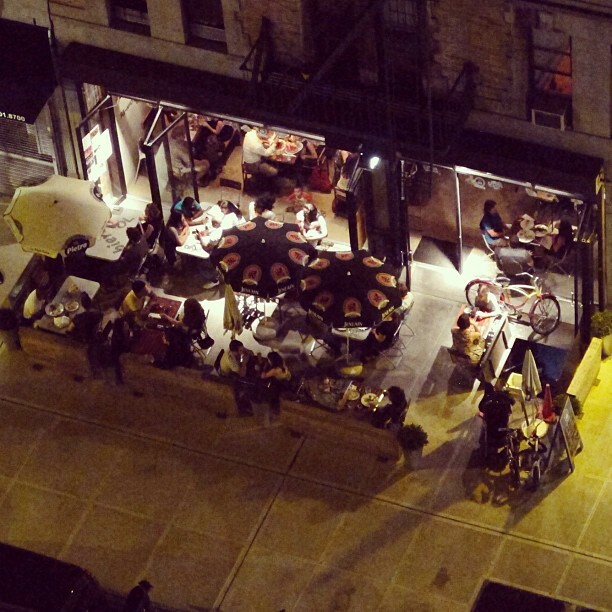 Can’t remember how Harlem Tavern came together and reached its one-year milestone? No worries. 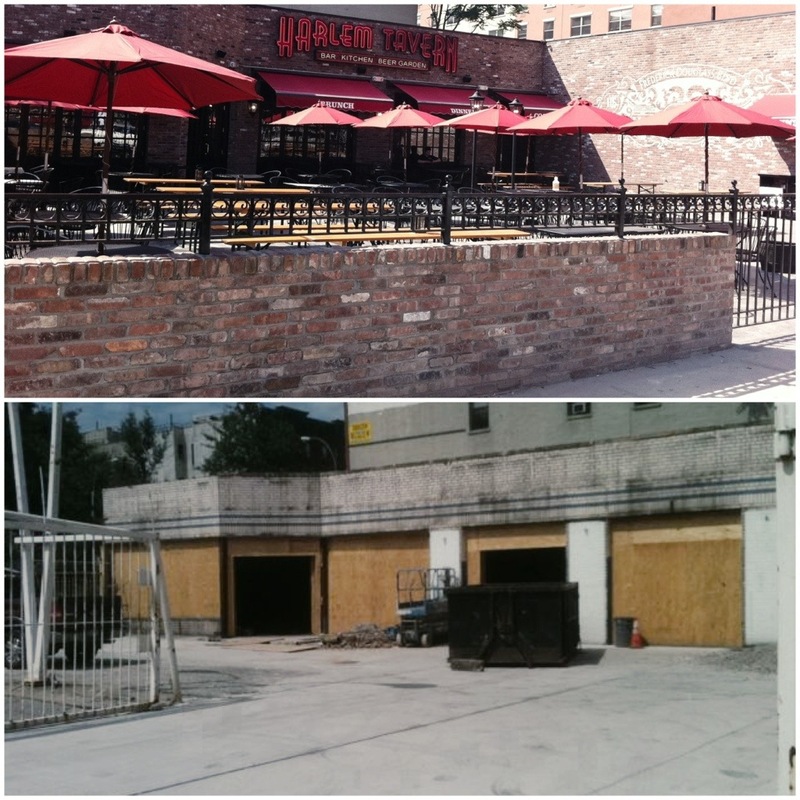 Let’s wish Harlem Tavern happy anniversary by reflecting back in photos and with some popular blog posts. Cheers! I went by Frederick Cafe Bistro this morning (June 22) to get an iced latte and a blueberry muffin, and found out they take credit cards as another form of payment. I assumed the cafe only took cash because it is under the same ownership as bier international, which I believe they only take cash, so this was a nice surprise this morning to find out I can use my credit card at Frederick Cafe Bistro! 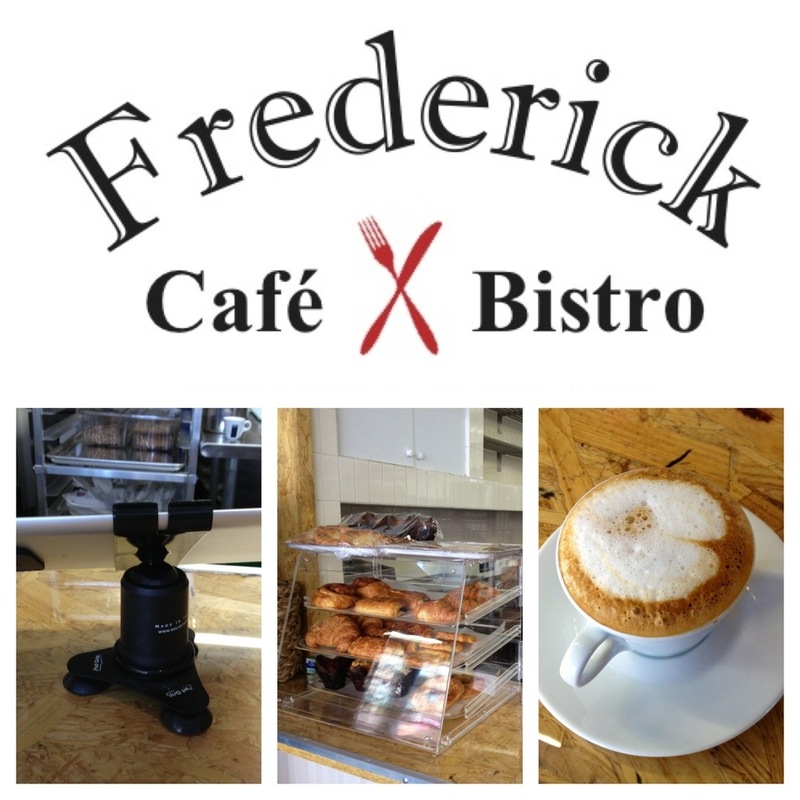 If you haven’t stopped by Frederick Cafe Bistro, it’s on the southeast corner of FDB and 114th Street! They offer delicious coffee, pastries and pressed sandwiches! 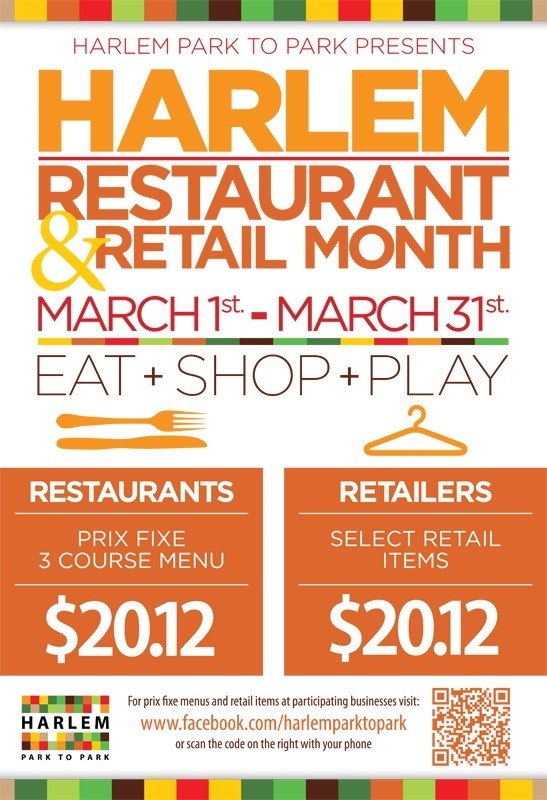 If you like the product and services at bier international in Harlem, i.e. great food and beer selection, then you’re probably gonna want to check out their next place of business in Harlem when it opens, which is Frederick Cafe Bistro. The second Harlem business for bier international will be located on the corner of…you guessed it, Frederick Douglass Blvd and 114th, and Chris and Ousmane, co-owners of bier and now Frederick Cafe Bistro, are working around the clock to get the Cafe up and running. The owners are aiming for late April to open the corner bistro. Also, their logo is ready! 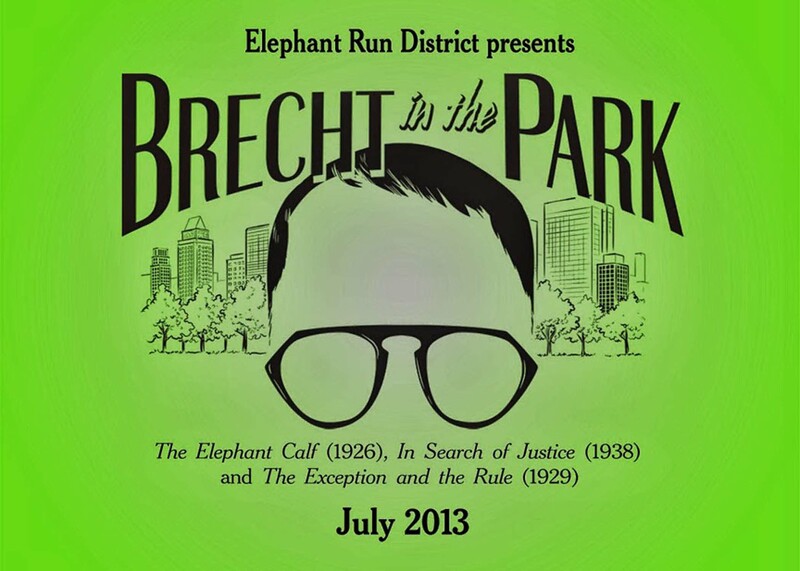 That’s a promising sign that an opening date is near! As for the menu, there is no word yet on what will be offered. However, I have complete faith that Frederick Cafe Bistro will be a hit in Harlem. Why? Chris and Ousmane have done a fantastic job with bier international. That place has been hopping since day one of opening and hasn’t slowed down since. I see the results with my own eyes. I walk by bier practically every day. Furthermore, I will put the success of bier international into baseball terms. Chris and Ousmane hit the ball right out of the park with opening bier in Harlem. They got it right and I have no doubt their business model for Frederick Cafe Bistro in Harlem will be executed with the same level of detail and energy as they did with bier international. 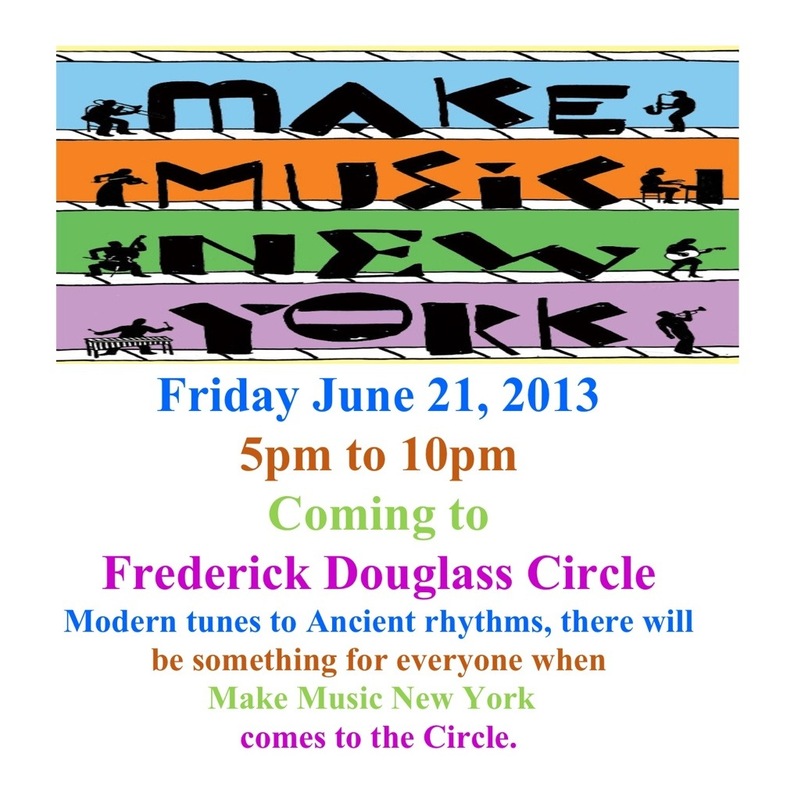 The only problem I foresee happening-and Harlemites might agree-is deciding where to hang. Am I in the mood for bier international or Frederick Cafe Bistro? Ahh, decisions, decisions! That’s what I call a good problem!